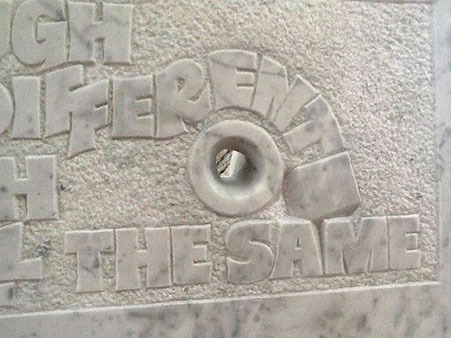 'You laugh because I am different, I laugh because you are all the same'. 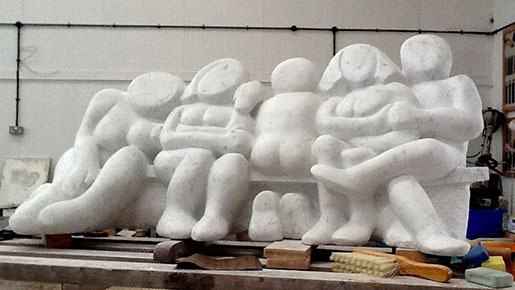 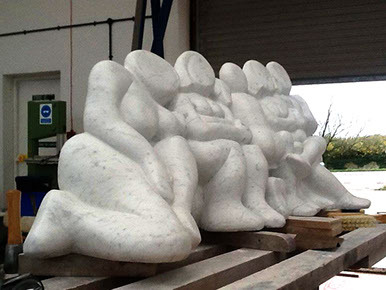 The work consists of five figures huddled on a bench, the central figure facing the opposite direction. 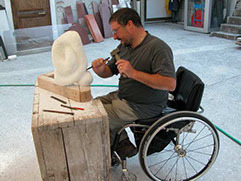 The work is carved from statuary marble. 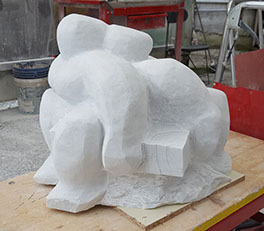 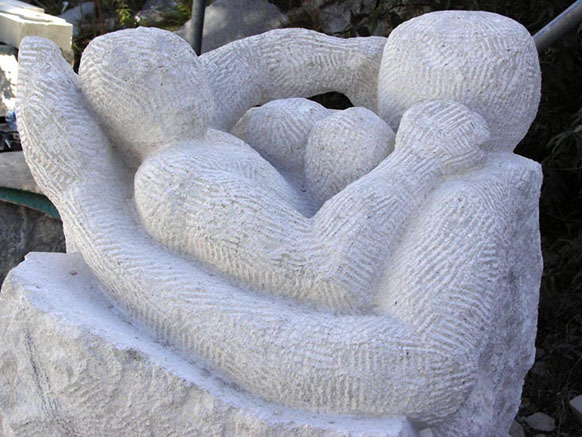 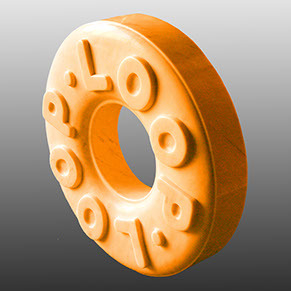 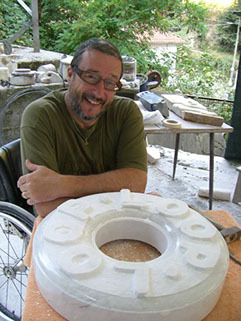 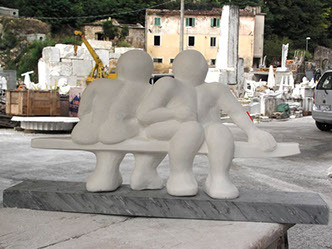 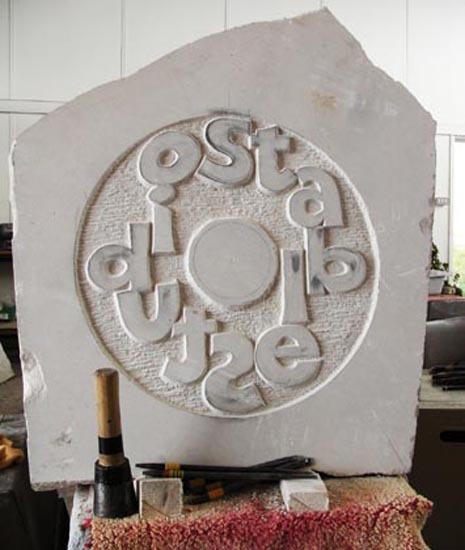 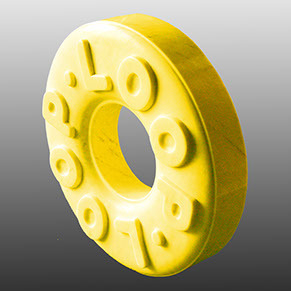 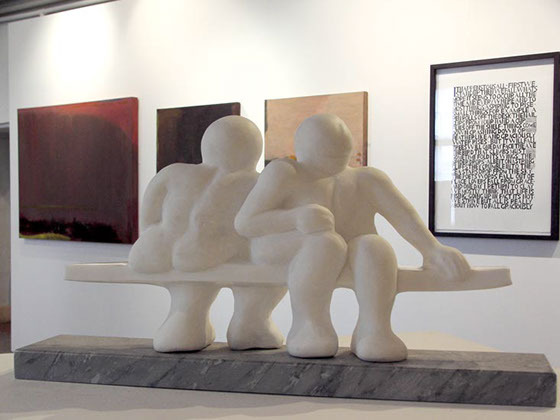 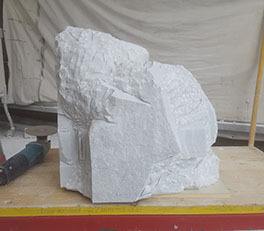 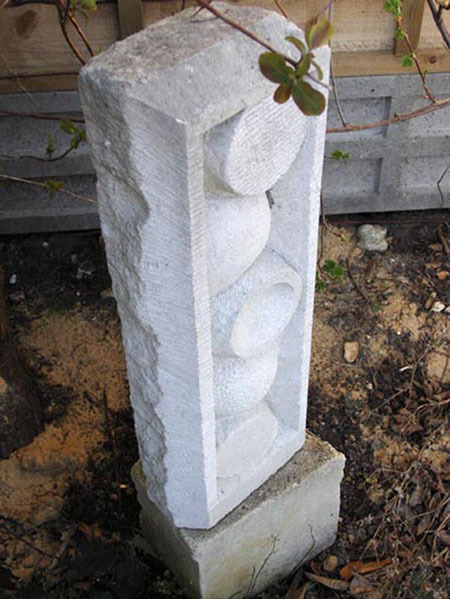 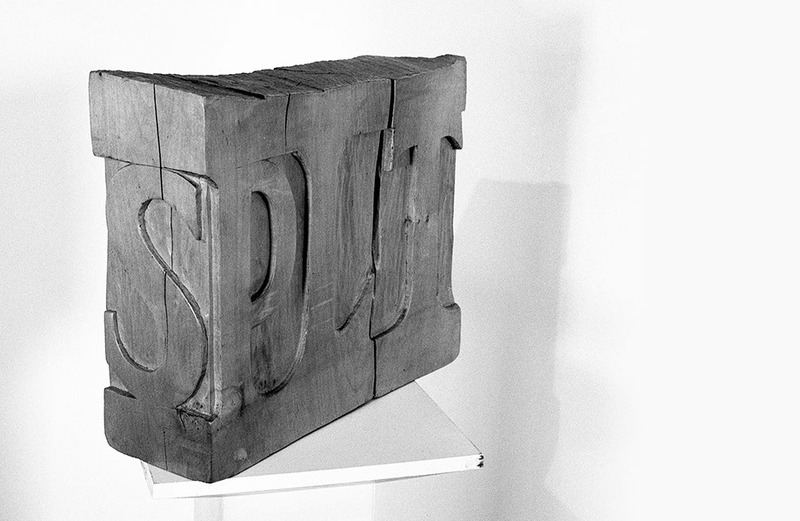 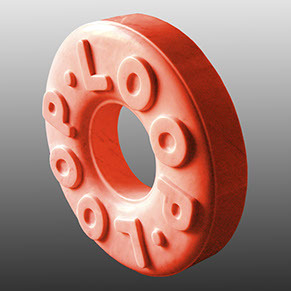 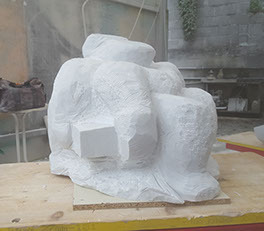 Direct carving, Carrara marble, 2005. 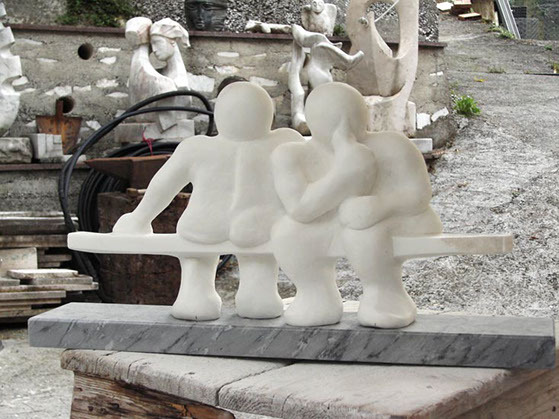 Two large naked men, sat on a bench that has no legs. 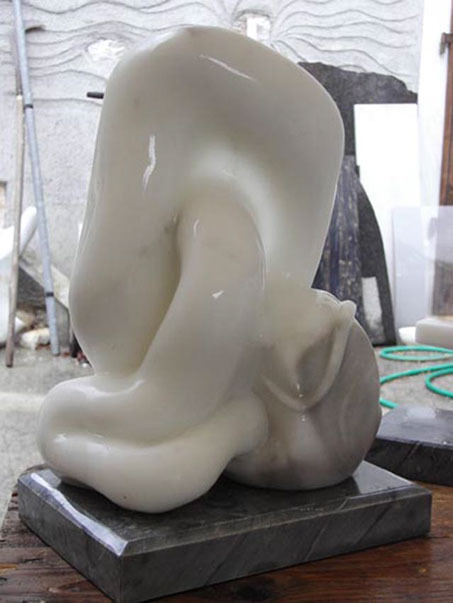 ZENMEN is now available as a limited edition of five, cast same size in white marble resin. 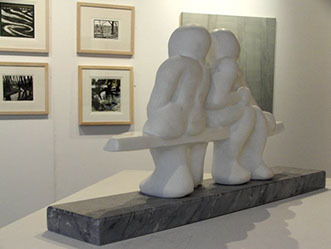 They are priced at £950.00 each. 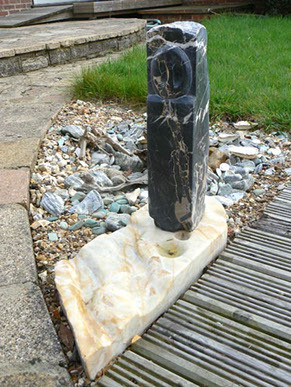 There is now only one remaining for sale. 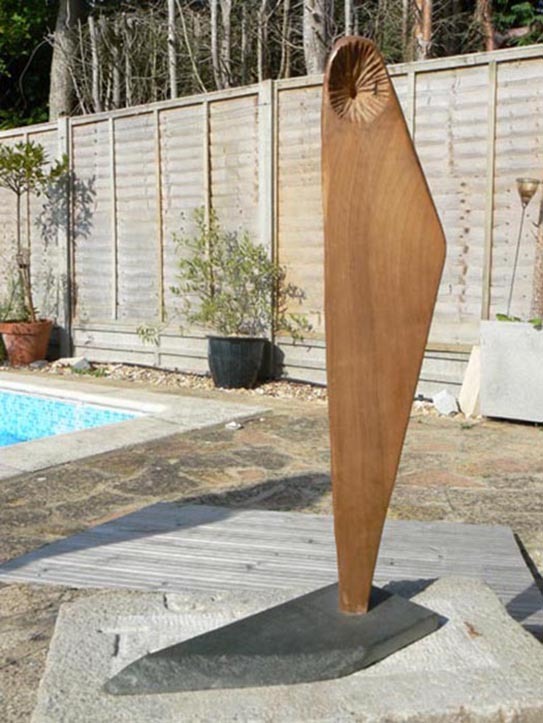 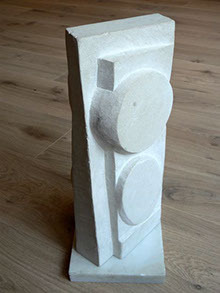 This sculpture was made following a discussion with Disabled artist Mike O’Hara who talked about making art whilst gradually losing his vision; he talked about his quest of searching for the light, to have enough to give him the vision to make work. 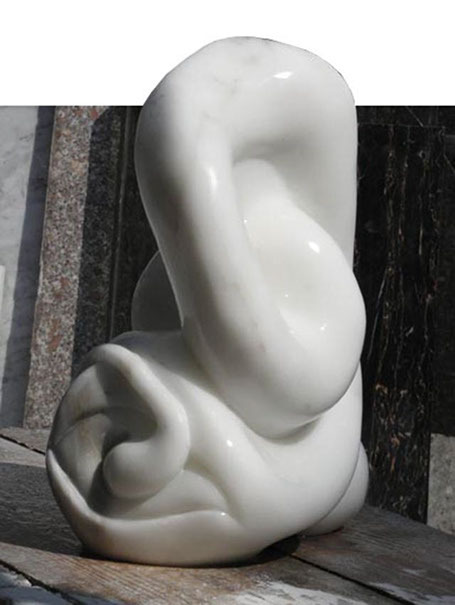 The sculpture attempts to define the gradual loss as in the movement of a serpent, steady, imperceptible, wrapping around and piercing the eye. 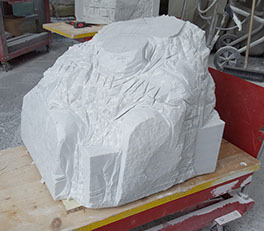 The underside of the top of the form is carved thinly, rather than pierced, to allow the penetration of a milky light, a glowing of light coming through the sculpture that shows the veins in the marble as the veins in the eye but does not illuminate. 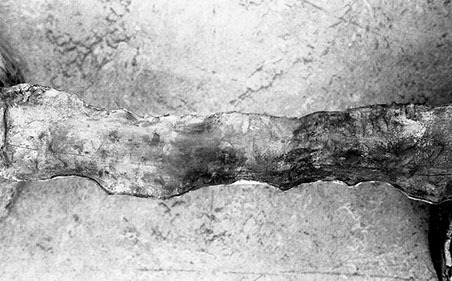 re-discovered friendship. 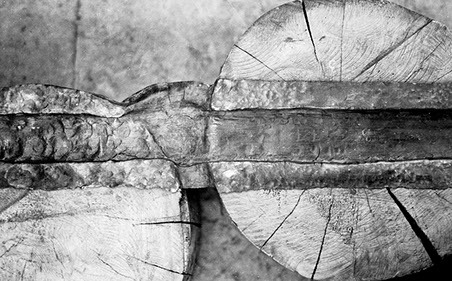 The theme returns again to my interest in the circular and cyclical. 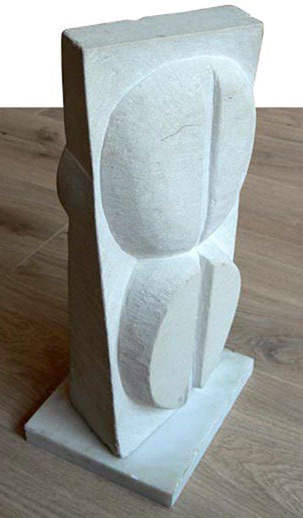 Direct carving from Portland stone. 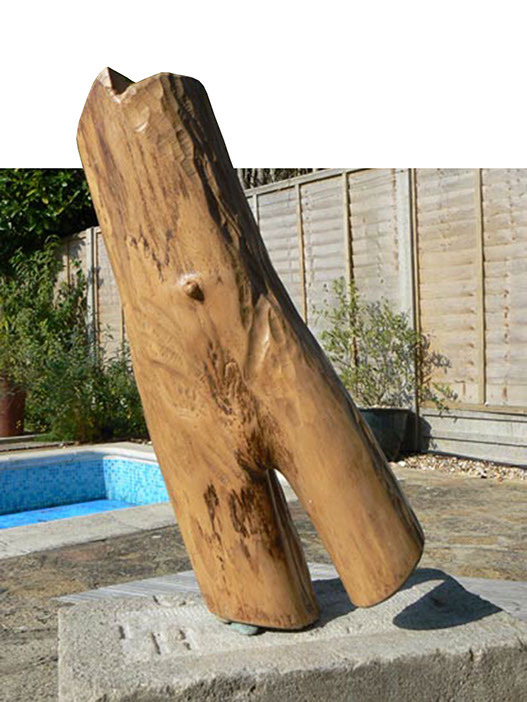 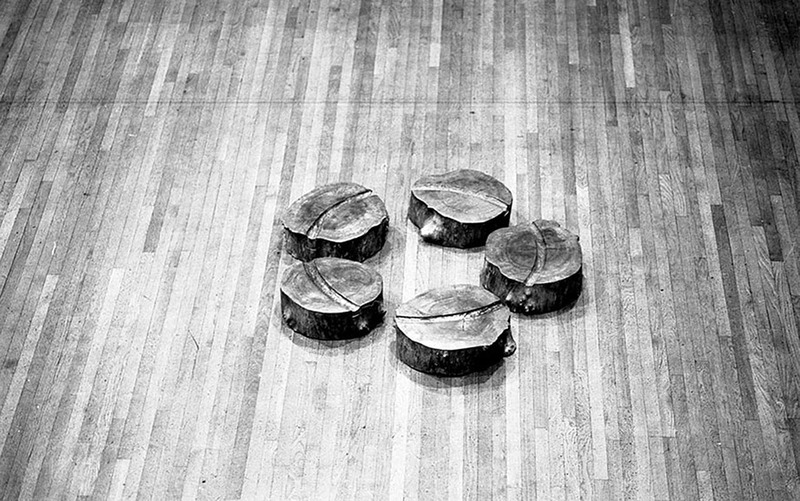 The elm trunk separated into sections is reintegrated by the carved arcs of the broken circle. 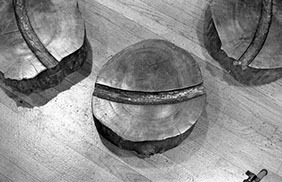 Simple objects, felled wood that will expand and crack, contract and split. 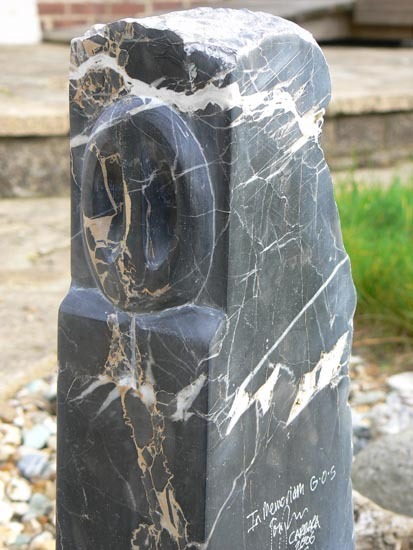 Time will mark the subtle changes of colour and texture, the lead has certain qualities as do the marks left by the hammer and chisel. 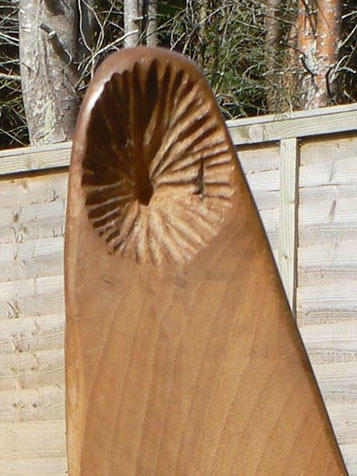 Carved from a single piece of willow. 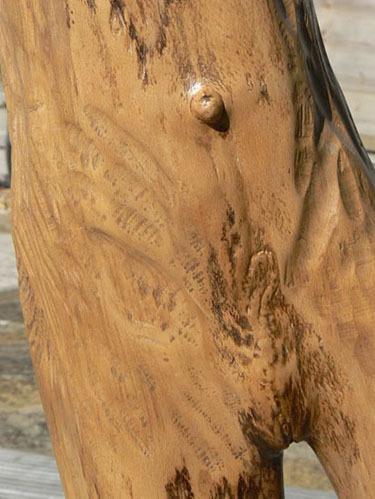 Once the bark was removed, the original form was already suggested in that the navel and female genitalia could be clearly seen in one side of the tree trunk. 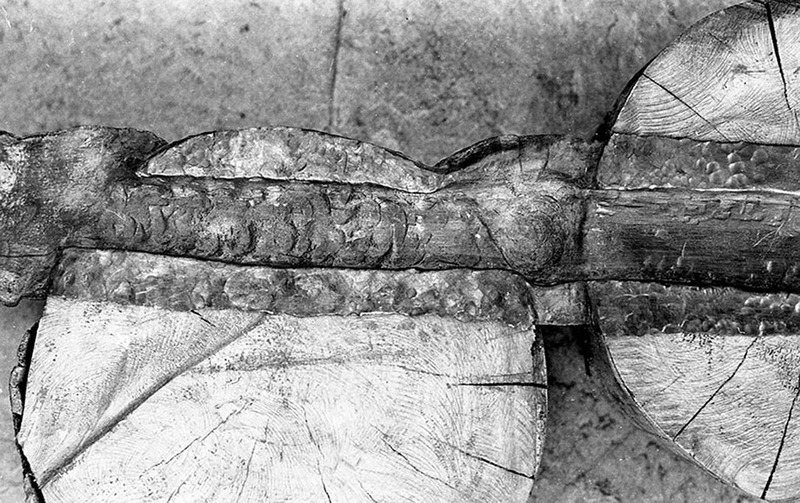 I carved the male representation on the other side of the trunk thus the sculpture, when viewed in the round, shows a male side and a female side. 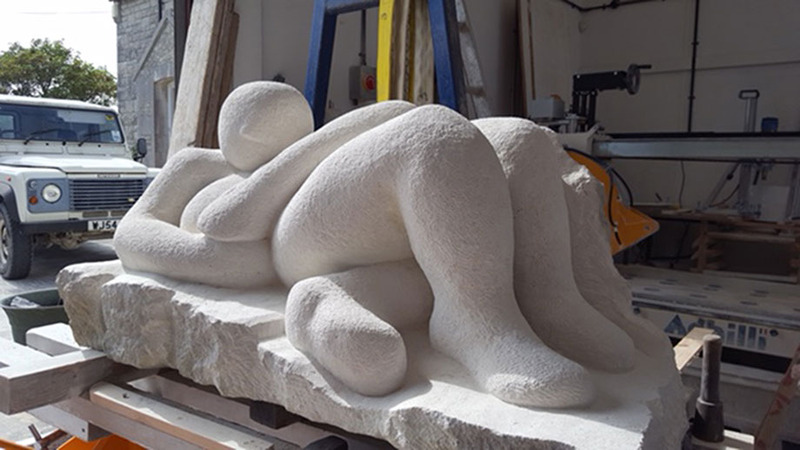 The subtext is 'man with thin right leg seeks woman with thin left leg for a balanced relationship', redolent of adverts in those personal columns, particularly in the disability press. 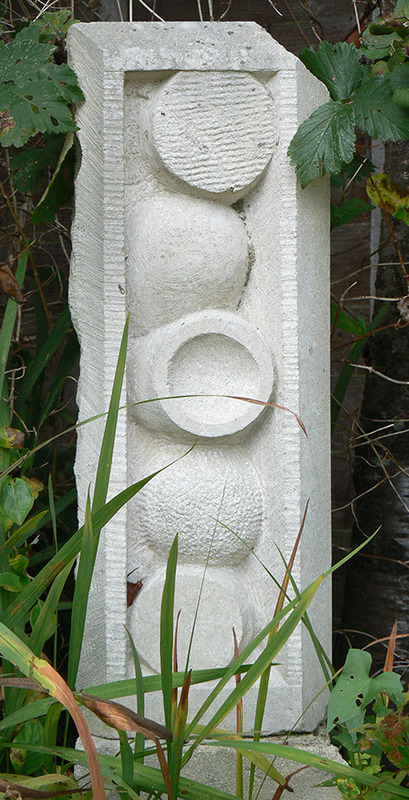 Carved from Portland Stone at Tout Quarry, Portland, Dorset. 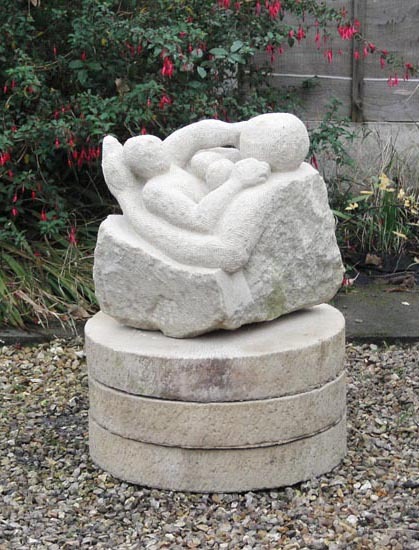 As a child, my daughter Nic delighted in holding my hands and gripping tight, then climbing up my body until she was standing on my shoulders. 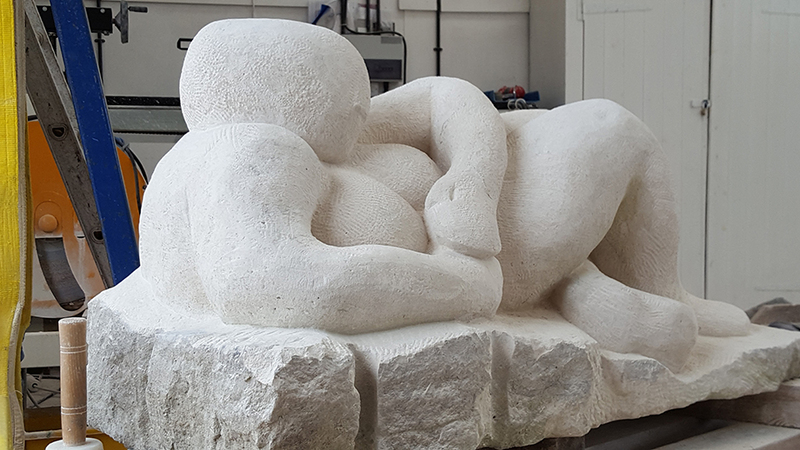 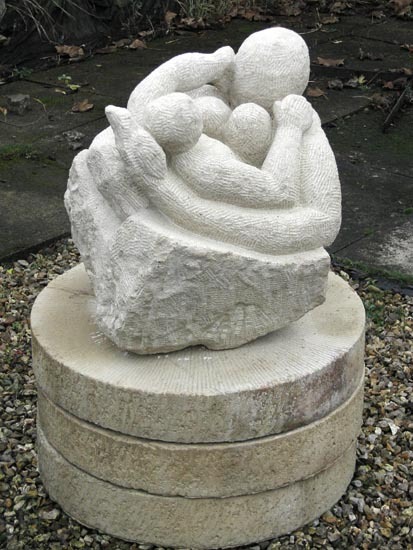 I hope the work symbolises the close bond we share and reverses the classical role of mother and son. 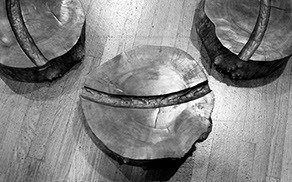 Split is a woodcarving made from a piece of Ash discarded by a wood turner as useless because it had a 'shake' (a fault) running through it. 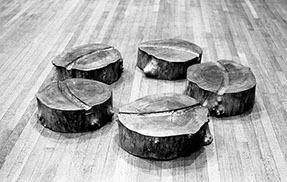 I saw this as indicative of a society that sees only perfection and disregards all that is damaged or perceived as impaired. 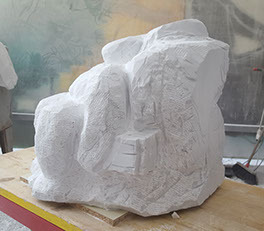 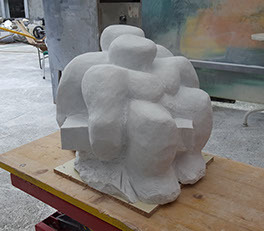 Yet in the sculpture, the fault becomes essential; perceived weaknesses become strengths, as the understanding of the piece depends on the fault being there. 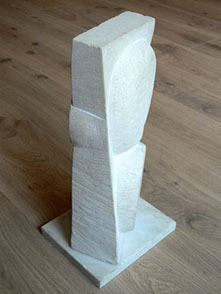 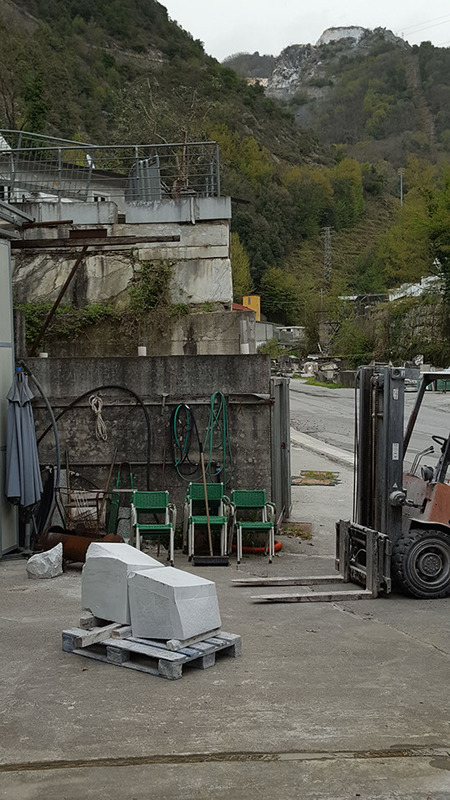 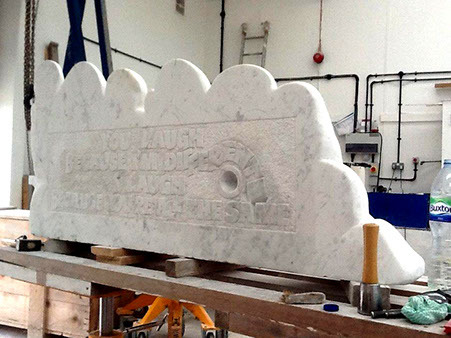 In Memoriam is carved from two types of marble: the upright from portoro macchia larga marble from La Spezia; the base from calacata oro marble from Sienna. 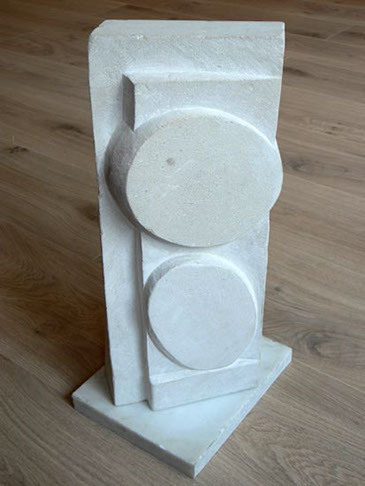 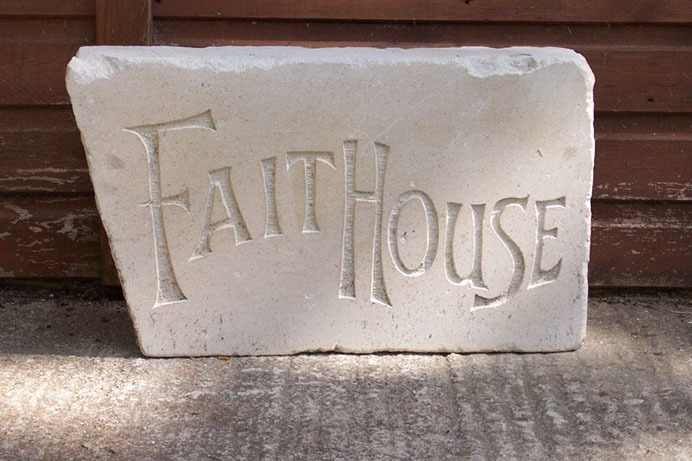 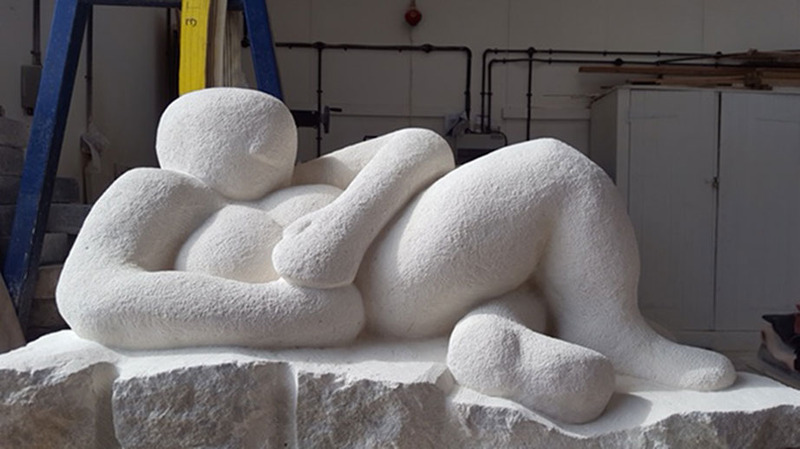 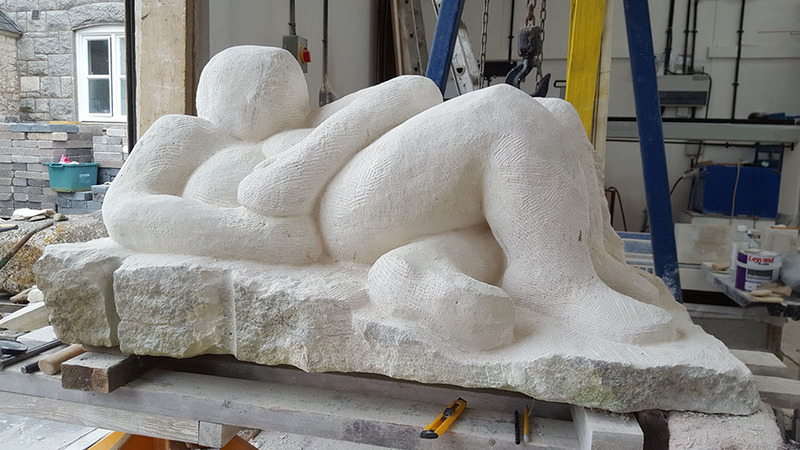 A way-marker, carved from Portland stone for the Faith House Gallery in Dorset.